Lewy is a retired educator from Lake Park, Minnesota. He spent about half of his career teaching high school Industrial Arts, before switching to computers and ending his career as Technology Coordinator for his school district. He now devotes his time to his many hobbies. 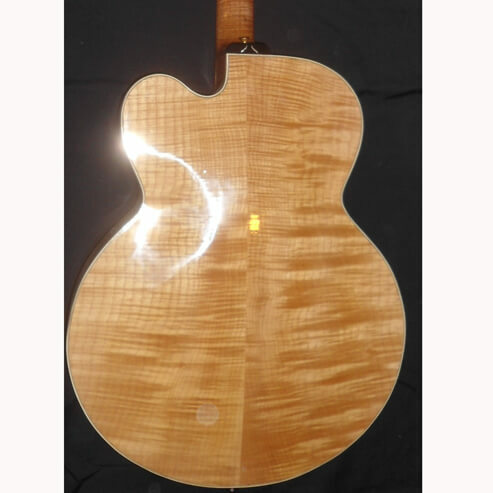 These include woodworking, building guitars and other stringed instruments, cabinets and furniture. Lewy’s shop is also equipped to do metalwork, and he has begun working on the construction of a live steam locomotive capable of pulling passengers around a track. During the summer months Lewy usually works restoring old cars, and is currently building a street rod based on a 1939 Lincoln Zephyr coupe. Lewy also spends a lot of his time playing music. He started playing the guitar at age 10, and spent many years playing professionally in various bands. He is well versed in many styles of music including country, rock, jazz, and gospel. Lewy also plays weekly for his church. In addition, Lewy is a Buddy Holly tribute artist, and has created a one-man show that is very popular – especially in the Minnesota/North Dakota region because of the area’s ties to the Buddy Holly story.